Hot tub pillows tend to disintegrate over time as they are generally soaking in water and chemicals. They can also fade or even shrink if they are exposed to the sun for a prolonged period of time. While chemicals are necessary to keep the water sanitary, they can eat away at your pillows after they fight the bacteria in the water. To protect your hot tub pillows, run the jets for at least 15 minutes after you add chemicals to the water. Be sure to leave the cover off when you do this so the fumes escape. Adding chemicals and then replacing the cover right away can help cause both the pillows and the cover to deteriorate quicker. When you change the water in your hot tub, wipe your pillows clean with a mild, hot-tub-safe, cleanser. If the pillows are dirty or discolored, a good hot tub cleanser along with a soft scrub brush can make them look brighter. You can also restore some shine with a conditioning/sealing product once they have been cleaned and dried. However, if your pillows are disintegrating, cracked or peeling, you may want to replace them. It is not comfortable having a headrest that is falling apart. Pillows vary from manufacturer to manufacturer in shape, size, color and fastenings. A Jacuzzi or Sundance pillow may be different than one for a Marquis or Artesian Spa. Even within a particular hot tub brand, the pillows can vary per spa model and can change over time. It is important to take note of the shape, length, height, width and color. Some may have decals or logos, but there may also be generic replacement options available. Your replacement spa pillows need to fit both the molded space in the hot tub and have the same type of backing. If a pillow is removed (or falls out), check the method of attachment that is used. It could be snap together bolts, clips, suction cups, Velcro or something else. Most pillows will have ‘pins’ that snap in. Check to see how many pins and how far apart they are. Hot tub pillows are easy to replace if you buy the exact same type. Pillows can become waterlogged and change in size so they need to be dried out in the sun if they become too heavy. If pillows with pins in the back that mate with receptacles in the spa keep popping out, the issue could be that the receptacle is worn or needs to be replaced. Some customers have taken the extreme measure of using silicone to mount the pillows, but then they cannot be taken out to dry or easily replaced. The pins on the back of the pillow that pop into the tubs receptacles are designed with a gap to accommodate slight differences in receptacles, and sometimes need to spread out further. A handy little Hot Tub Outpost tip in this case, is to wedge a small piece of weed-eater string (plastic) in between the pins on the pillow. This spreads them to the right width. If older pillows start popping out, then the pins may be worn. Pillow life is largely related to water chemistry and usage. Keeping your water in balance goes a long way to extending spa pillow life. If your hot tub is very old or the manufacturer no longer makes replacement pillows, you can always buy a universal spa pillow. For instance, there are weighted pillows that have a pillow in the front and weight in the back that can simply hang over the top of any make of spa. These weighted pillows are also easy to add to other seats that did not even have a pillow before such as the side seats. There are also some generic size spa pillows that come with suction cups in the back that can often be suitable substitutes. These types of universal spa pillows can also be used to add a pillow to a side seat that did not previously have a pillow, or to add softer comfort to box store spas that are sold with "acrylic pillows". Take care when ordering pillows that have center hole cutouts for logo domes that you also order the matching logo dome insert unless it is already included with the pillow. 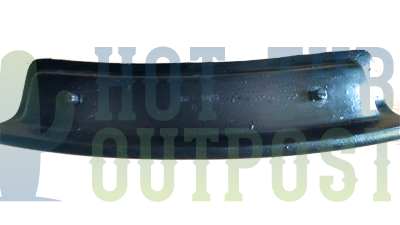 Hot Tub Outpost carries replacement hot tub pillows for almost all brands of hot tubs, including those that are no longer in production. 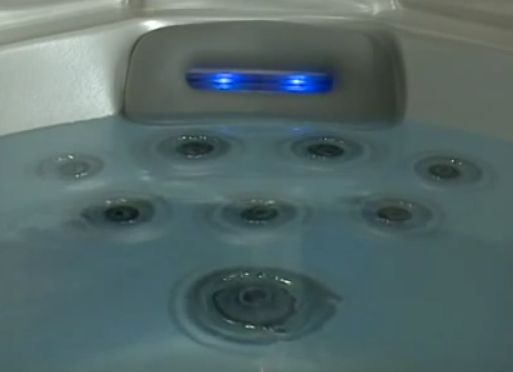 Popular brands include Sundance, Artesian, QCA, Premium Leisure, Baja Spas, Coleman, Coast and others. The easiest way to order the correct hot tub cushion is to send a photo of the back and front of your spa pillow, along with dimensions, to info@hottuboutpost.com. Sometimes there is a number stamped on the back of the pillow as well. 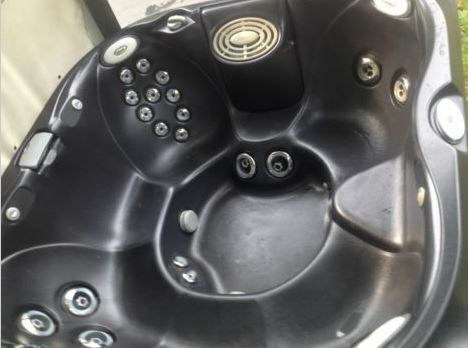 If you know your spa serial number that can be helpful as well to determine the correct pillows in your particular spa as they do change from year to model year. A parts matching specialist will send you back a link for the correct replacement hot tub pillow. If you follow proper water care and our tips for protecting the pillows, then your replacement hot tub pillow cushions should last for many years. See our huge selection of hot tub pillows.